Meet Linden. We're the newest inspiration on East Burnside, just a hop skip and a jump from some of Portland's best places to eat, work and play. Our eye-catching architecture and stylish, hip interiors with sleek granite countertops, stainless appliances and wood-like plank flooring are only a few of reasons why you live on the east side. Our one- and two-bedroom apartments are the perfect place to live, seriously in-tune with your lifestyle. Call or stop in today to reserve your new apartment! 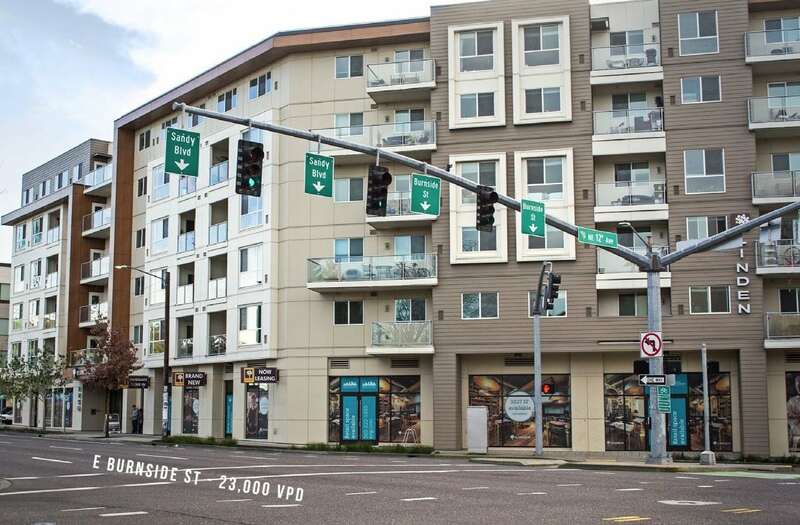 Linden also features retail or office space available for lease on E. Burnside Street. Learn more about the Linden storefront space availability. Linden Apartments also has retail and office space available for lease. Learn how you can take advantage of this unique opportunity to be apart of our community. Join the conversation and stay up-to-date with resident events and promotions by following @LindenApartments and tagging #LindenPDX social media!